MARCH SPECIAL – $0 MONEY DOWN. $29 MONTHLY. 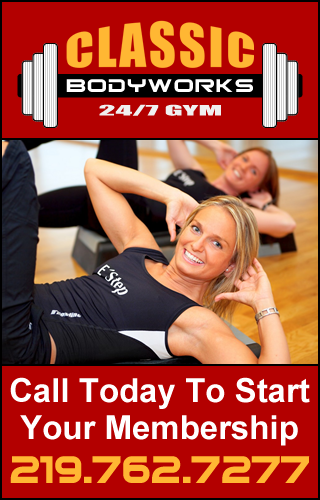 Join Our Fitness Club Today! A 24 HOUR GYM ALWAYS STAFFED WITH AN EMPLOYEE ROUND THE CLOCK. HUGE SELECTION OF ALL TYPES OF WEIGHT TRAINING EQUIPMENT FOR ALL YOUR FITNESS NEEDS. WIDE VARIETY OF CARDIOVASCULAR EQUIPMENT. FREE DAY AND EVENING SUPERVISED BABYSITTING FOR YOUR KIDS. A GREAT VARIETY OF OUR DAY AND EVENING FREE GROUP FITNESS CLASSES TAUGHT BY OUR FRIENDLY, HELPFUL INSTRUCTORS. PRIVATE MENS AND WOMENS LOCKER ROOM AND SHOWERS. WE ALSO OFFER PERSONAL TRAINING AT AN ADDITIONAL, AFFORDABLE COST WITH OUR FRIENDLY, MOTIVATING CERTIFIED TRAINERS. With any of our membership you will have the opportunity to take advantage of all the services that Classic Bodyworks has to offer!